The BodyCraft F603 Flat/Incline Utility Bench. 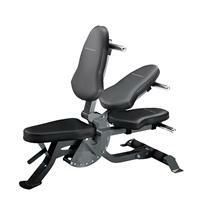 A modern, compact, multi-purpose bench designed to work with Functional Trainers, Free-Weight Systems, and Dumbbells. 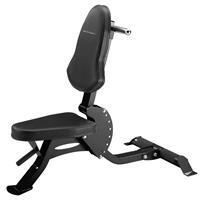 Recommended to use with the HFT & PFT Functional Trainers. Chromed assist handle can be used for stability when performing various exercises. 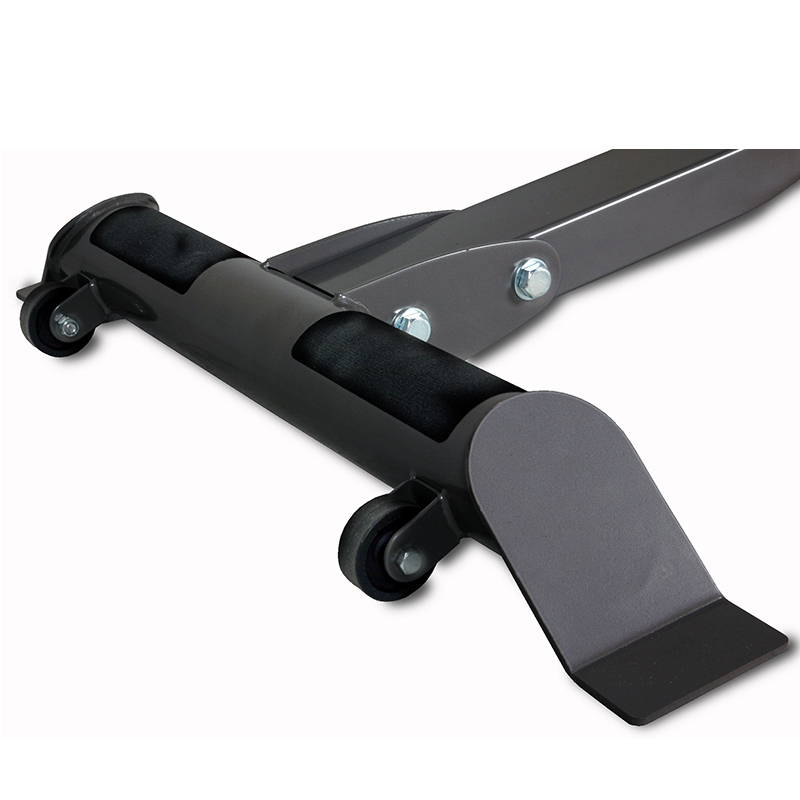 Chromed assist handle can be used as a foot brace when performing exercises such as a mid-row. 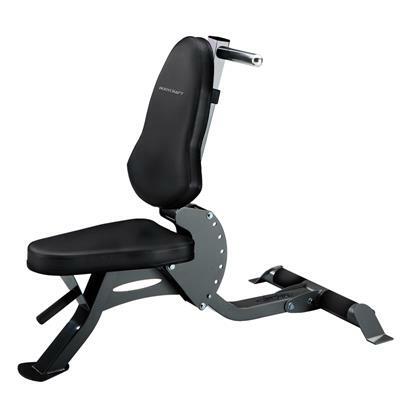 Seat back slides up & down, can be used as a knee-hold-down when performing high pull exercises. Also for use as a Utility Bench. Compact and includes transport wheels for easy movement. 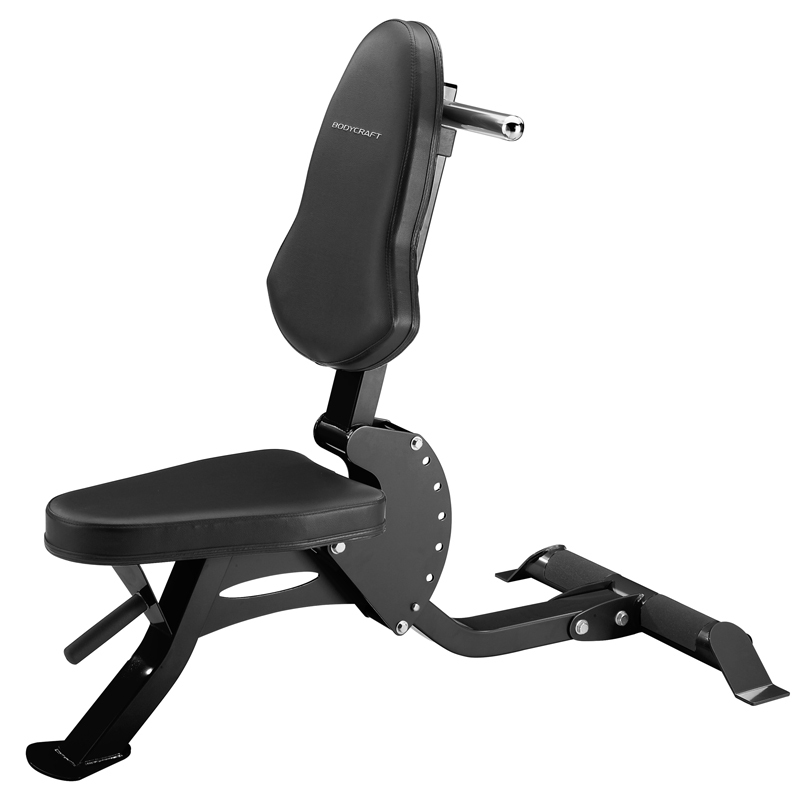 Low seat height of only 16 inches makes it comfortable, stable, and easy to grab dumbbells. Adjusts from flat to incline in 6 different positions; from 0 to 85 degrees. Quick and easy pop-pin adjustment. Rated for up to 800 lbs. 6 different positions: adjusts from flat to incline- 0, 15, 30, 45, 60, 85 degrees. Handle and wheels: for easy transportation. Assist bar: can be used as a foot brace for rows or stabilizer assist for functional training exercises. Weight can also be added to serve as a ballast. Upholstery: 2" thick high density foam, top with 1/2" low density foam for extra comfort, covered in black industrial grade vinyl and upholstered back covers. Dimension: 28.5" W x 50" L x 16" H.